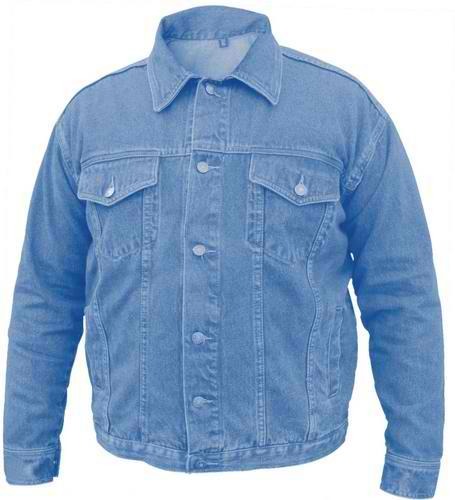 Men's Blue Denim jackets 100% Cotton. 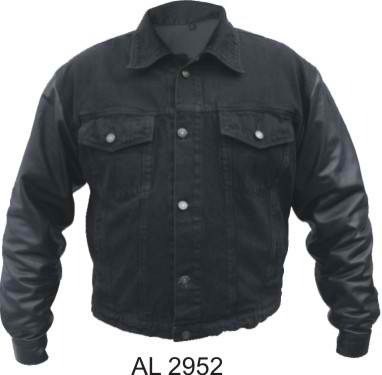 Not available in all sizes, contact us for delivery estimates. 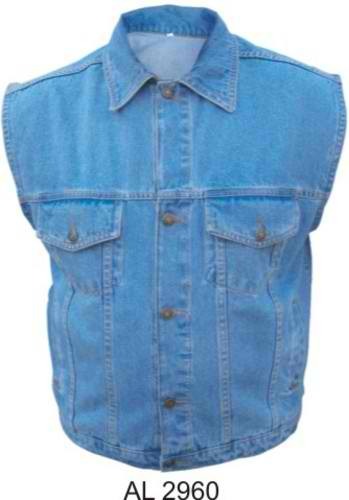 100% cotton Men's Blue Denim Vest with Collar. 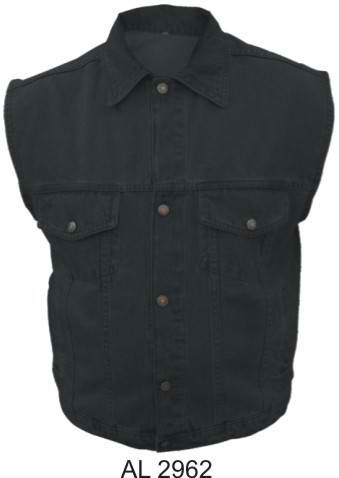 Not available in all sizes, contact us for delivery estimates. 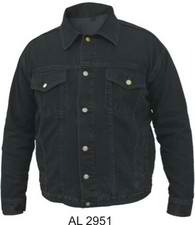 Men's Black 14.5oz. 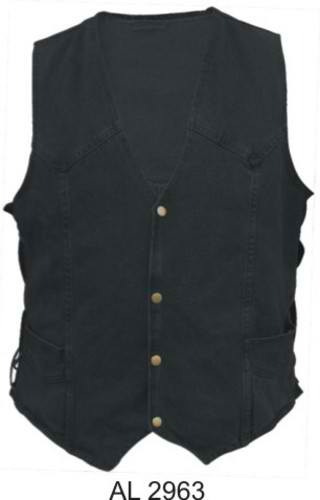 Denim Vest with side laces. Not available in all sizes, contact us for delivery estimates.